Members of the Board of Education discussed a number of details at their meetings on Tuesday, November 13, 2018. The work session featured a presentation by PSHS Principal Sean O'Donnell and a team of teachers on advanced learning opportunities at the high school. Please note: The following highlights are not intended to report on all discussions or decisions that the board has undertaken at this meeting. Once approved by the board (generally at the next monthly meeting), minutes will be posted at the end of this article. At the BOE’s work session, high school principal, Sean O'Donnell, and a team of teachers presented information about introducing an advanced placement (AP) program at the high school. The AP curriculum, administered by The College Board, consists of standardized courses, roughly equivalent to undergraduate college courses. At the end of the AP course, students can opt to take at test that may give them college credit. The presentation focused on the benefits and challenges of implementing an AP program at the high school, which the school intends to do next academic year. Here are the highlights from the regular meeting, which followed the work session. Board member Jason Peterson informed the board that he will need to step down from his position, due to his family relocating. Rotary President Shelley Peterson presented a check for over $1000 to ASD teachers Debbie Moore at PSES and Jenna Waite at PSHS. Debbie Moore is working towards purchasing a Star lab, and Jenna Waite will use funds to purchase pens for her design class. • This year, the district received a preliminary and then final report about Archuleta School District from Moody’s Investment Service, which reviews the financial standing of organizations around the country. As has been the case over the last few years, their review of our investment position is favorable. • The Colorado Department of Education is considering a request submitted by the district to reconsider Pagosa Springs High School's SPF rating, which they will do on December 12 and 13 at the State Board of Education meeting. 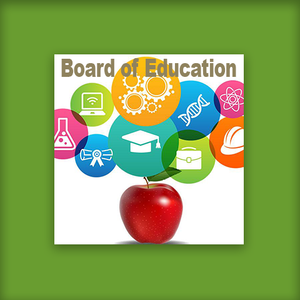 The BOE will be informed of CDE's decision at its December meeting. • The Americana Project at the high school was a big success. This year, the students in Mr. Hemenger's class wrote musical pieces and performed for the entire two hours. • Monday, November 12, was the 18th annual Veterans Day Breakfast, hosted by 8th grade students under the direction of Scott White, and prepared and served by parents. Many community members, veterans, and our legislator, Barbara McLaughlin, attended. Several veterans participated in a flag-folding ceremony. The middle school band and Pagosa girls choir performed. • Partners in Education (PIE) parent group participated in World Kindness Day Tuesday, November 13, at the elementary by inviting special guests to read to students during advisory class. • This year the CDE selected ASD's food service department for an administrative review — a thorough examination of all aspects of a school's food service program that occurs every three years. Our team passed the review with flying colors. • The results of the bond/MLO statewide election were: Bond: 8 total with 5 passing, 2 failing, and 1 still undecided; Bond/BEST matching grants: 11 total with 7 passing and 4 failing; MLO: 21 total with 15 passing and 1 too close to call. • The next board meeting will include a celebration of passing the MLO at the November election. Finance Director Mike Hodgson presented information in the quarterly investment report and financial report. Also considered was a preliminary financial report from the Pagosa Peak Open School for the period ending June 30, 2018. Assistant principal at the middle school, Aaron Freed, updated the board on progress of a SAFER grant application, which will help the district purchase state-of-the-art communication devices that will allow school admins to connect directly with emergency services, such as law enforcement agencies. The grant will cover technology, installation costs, six-year maintenance costs, and staff training. IT Director Jesse Morehouse briefed board members on a controlled access security system for all the schools. Sensors will be installed on every door with access using an ID chip card. The system creates a log of who's in the building and should help control all access to the buildings. There was some discussion about the need to update the elementary and middle school buildings so the system could work. The plan is to have the system operational by mid to late spring. Assistant Superintendent Laura Mijares gave a report on employees who left the district and new hires. There was some discussion about background checks and how the district makes sure that all hires pass this necessary requirement. Pagosa Peak Open School Director James Lewicki updated the board on its latest submission of the Empowering Action for School Improvement (EASI) grant application. Rather than multiple applications on separate timelines, CDE is now streamlining school improvement opportunities into a single application and using a “needs-based approach” to award services and funding. Ultimately, the intent is to develop a robust process of matching schools’ needs with rigorous, evidence-based strategies and adequate resources. Additionally, awarded funds will enhance districts’ and schools’ ability to meet the ESSA and state requirements (e.g., stakeholder engagement, improvement plan, implementation of evidence-based interventions) in a way that directly benefits students. The board ruled on certain action items, including the approval consent agenda, a revised 2018-19 Pagosa Family School, substitute, and hourly schedule as presented. Members of the board also discussed next steps now that the MLO has passed, citing that "much work still needs to be done," and the district must remain accountable and transparent. Next board monthly meeting is scheduled for Tuesday, December 11, in the high school auditorium. Check the website calendar for exact details and possible updates.